Online Business Topics: Blog, Write, Design, Mktg, App, SW, Ebay, Expert, Research, Edit. Since the advent of the Internet, it is now much easier for Entrepreneurs who are diligent, dedicated & defiant (the other 3D), to make cool cash $$$ from the comfort of their homes. If you were born in this 21st century, then you are amongst the lucky set of humanity that has several options of becoming millionaires without working your life out. Why Start an Internet Business from home? Blogging is one of the means several people all over the world are making money from the Internet. Blogging is all about creating usefully and perhaps educative content for a targeted audience on the Internet. If you think that you have good knowledge on a particular subject, you can make money by sharing your knowledge to a wide range of audience via your Blog. Freelance Content Writer. If you are a skilled & creative writer + you have enough time at your disposal, then you can earn good income from the Internet. There are loads of Websites you can secure high paying Content Writing jobs from. Some of the sites where you can bid for Freelance writing jobs are FreeLancer.com, Upwork.com, Guru.com & eLance.com. Web Design Services. Statistics has it that there are well over 350 million active Websites on the Internet and it is not enough to meet the demand of people visiting the Internet. If you know how to design a Website, you should not restrict the marketing of your Website Design Services to people you can see and visit within your industry. There is a large market within the online community waiting to be tapped. All you need to do is to list your services online and if you are good, you will attract clients from all over the world. Social Media Expert. If you are good with various SM platforms, then you can start an online business managing Social Media handles for several busy business executives, govt officials, pastors, celebrities, public figures, etc. Of course you must display some level of professionalism and expertise (ie, friends & family), before you can be hired to manage SM pages for other people, but the truth remains that you can make good $$$ from this type of online business. Online Marketing. One of the best strategies that an organization can employ to reach out to their Target Markets is online marketing. If you have your own products or you choose to sell other people’s, the Internet is one of the cheapest and perhaps easiest ways of Marketing goods and services. All you need to do is find a Client that needs your services and make them the Offer “Only pay me on results”. They will assign some leads to you, thenyou follow up on them until you generate sales from them and you will be paid a commission. Following up on them could be sending reminder Emails, Texts, chatting with them – Audio or Video, etc. App Development. If you are good at developing Apps, then you can make good money from the Internet. There are lots of Apps that are being sold on Apps stores and there is still need for more Apps. If you can come up with a unique App, you will be amazed at the $$$ you can generate from selling this App. Sell your own Software. If you are a Developer, the Internet is your strongest Marketing platform. There is a large market for SW on the Internet. All you need to do is to look for a task in the IT world and then build SW to improve the task. You can develop SW that will help people better manage their payrolls, accounts, clients, online files, etc. Online Research. Are you a FreeLancer, and do you have ample time available? If your answer was a Yes, then you can make money as a Researcher for several organizations or individuals around the world. All you need is to prove to them that you have what it takes to deliver on targets and you will secure good paying Research & Report Writing jobs. Online Consulting. As a specialized Consultant, you can offer expert advice to your Clients – it could be business, relationship, technical advice, etc. The bottom line is that you don’t have to be physically present with your clients before advising them. With the Internet you can successfully do Video calling (Skype, Messager, Zoom, etc) and live chat with your Clients no matter the part of the world where they live in. Just ensure that you list your Consulting services online and you will be amazed at the numbers of people from all over the world that will come calling for your services – especially if you are considered a pro in the industry. Sell on EBay – which is an Internet platform that you can you sell yours or other people’s stuff on (ie, friend, family, etc). All you need to do is to sign up for their services, play by their rules in listing selling products. Start an eCommerce Store. There are loads of stuff you can sell online. You can engage in the sale of perfumes, electronics, flowers or almost any product online and if they’re good, people will patronize your services. All you need to do is to define the areas you are servicing and ensure that you make adequate provision for shipping. Write/Sell eBooks. Another easy way you can make bucks from the Internet if you are good with creative writing, so as to sell as eBooks. There are countless numbers of subjects that you can write about and of course there will be ready market for such subject. EZ. One of the easiest ways to generate monies from selling eBooks is to start writing Self-Help books or books on ‘How To’. For example, if you are good with graphics, you can write a book on ‘How to create your own Logo’. EBooks are cheap and easy to make and from one eBook you can continue to generate incomes as long as the information that it contains is still pretty valid & value. Graphic Services. There are loads of people out there who are looking for Graphic Artists/ Designers to contract their graphics jobs to. You just have to be pre-active & assertive in marketing your services. One good thing about offering graphics services online is that you can sign a long term Contract with just one or a few Clients. Transcription Services. Another online service that is closely related to Translator services is Transcription services. [Listen to Audio, Watch Video, then convert to Text – Word, pdf, etc] If you are good at this, then you can help several public speakers, preachers, teachers, etc, write their books by simply transcribing their video or audio. You can as well source for transcription jobs from online platforms such as FreeLancer.com, eLance.com & oDesk.com. Ghost Writing. If you are “creative” writer, then you can start your own online business as a Ghost writer. There are countless number of people out there who are overdue to author at least one book, but they can’t – due to their very busy schedule. All you need to do is to collect their thoughts together and help them write part or all of the book. Although your name might not appear in the book, you can be sure of being rewarded adequately for your services. It could be a pay off or a % based on the number of copies of the book sold within a period of time. All the same it is a good way of making cool $$$ from the connection you can make with people online. Become a Translator. If you can speak and write two or more languages, then you can comfortably list your services online as a Translator. There are many authors of books and producers of films who wouldn’t mind translating their books to local dialects or other foreign languages once they can get someone to do it for them at an affordable fee. You can visit eLance.com, FreeLancer.com, oDesk.com & other freelance sites to source for Translating jobs. Editing & Proof Reading. The nature of this type of business makes it easier to work from home and for clients who are far from your location. If you are a good Editor and you have eyes for details, then you should consider visiting FreeLancer.com, eLance.com, oDesk.com etc. From such platforms, you can get as much editing & proof reading jobs as you can handle. Photog & Editing Service. There is hardly business that you cannot leverage on the Internet to generate more income. If you are a Photographer and you are good with Photo Editing, all you need to do is to list pictures in your archive for sale to the Internet community. There are well over 30 million Websites and of course these Websites need lots of quality content – which is why they out-source content writing jobs + photos. Video Editing Services. Although it is easier for people to post Amateur videos on Social Media platforms these days, if you are in the business of selling Resource video, then you must endeavor to be professional with the videos you put up for sale. List your services on the Internet and you can also be source for other clients from the Video online community. Voice-over Services. Your good voice and excellent diction is a significant asset. With it you can generate extra $$$ for as long as you are willing to. All you need to do is to google Voice-over out-sourced jobs and you will see lots of them. Ensure that you thoroughly read thru them for the ones you feel you can handle. As a Voice-over Artist, you can sign up with an Advertising company and they will help you secure Voice-over jobs. Foreign Language Training. If you can speak and write more than two international languages ( English, Spanish, French, German, Italian, Chinese, Japanese, etc), then you can make money from the Internet. All you need to do is to list your services online and people who need the services your offer will contact you. Just ensure that you have resource materials (soft copies that can aid your teachings). Virtual Assistant. There are several busy business people or organizations that are willing to hire and pay virile (no, Virtual) Assistants to help to handle some of their work. If you know you have marketable skill sets, then you can earn good money as a Virtual Assistant, especially if you market yourself. As a VA, you can handle various job roles for multiple of Clients; you can hand roles such as responding to Emails, online Marketing, products Listings, Blogger out-reaches, Research, Report Writing etc. Online Book Store There are Book Lovers all over the world, who are still interested in buying books, no matter the amount it will cost them. Starting an online Book store is another way of making money from the Internet. That’s how a little company like Amazon started. Now they’re making big bucks $$$ from selling Books online and you can start something similar. You can sell eBooks, Audio & Hard-copy books on various subjects and from various authors. You can get rid of valuable Books that you no longer need. Online Boutique. If you have eyes for good fashion and are interested in starting a business in that line and you don’t have all the monies in the world to rent / lease a facility for the conventional bricks and mortar boutique, then starting an online boutique is your best bet. As a matter of fact, online boutique has leverage over the brick and mortar boutique. If you run an online boutique, you customer will not be restricted to people within the city where your boutique is located but to people all over the world. All you need to do maximize your online boutique is to make arrangement for cheaper and reliable shipping services. If that is in place, people from all over the world can conveniently patronize your boutique. Gallantry (no, Gallery) Selling Artworks Online. Even if you operate a conventional Art Gallery, that does not in any way stop you from increase your income by selling your Artworks online. All you need to do is to display the Artworks you have on your gallery (on your Website) alongside their prices and you will be amazed at the numbers of clients you will attract from far & wide. It is indeed a cool way of making more money as an Artist. Comments: Do you know any other good Ideas to start a Business with no $$$ down? 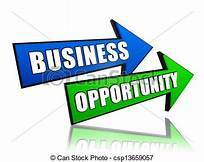 For more Info, click on Starting a Business, Online Business.